I am announcing the RideShareDan.com June contest. The rules are simple. I will randomly select one of the people who have retweeted the pinned tweet sometime on 7/1/2017. That person will get a $10 Uber gift card OR a $10 Lyft gift card (their choice). All you need is a valid email address that I can send the credit to. IF I get to 1000 followers on Twitter and 1000 subscribers on Youtube by the end of the contest, I will select 5 people at random instead of 1 to get a $10 gift card to their choice of Uber or Lyft. I have found that Uber is finally adding a feature that both riders and drivers alike have been asking for. Watch the video to find out more! 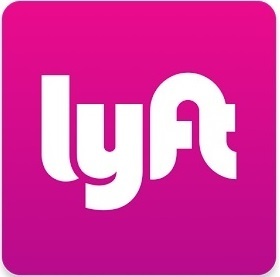 After passing legislation that would have run ride sharing out of the city, the KennerCouncil voted to reconsider and then defer the ordinance passed last Thursday. It will be discussed at the next regular meeting. So as of right now it is as if no ordinance was passed. I spoke to Mayor Zahn who said that the amendments to that legislation will be posted online soon. From what I gather it will remove the requirements to have an occupational license and eliminate the fee structure from the airport that Uber objected to. If passed as amended it seems that Uber and Lyft would agree to the wording and Ride sharing would no longer be at risk in Kenner. Think twice before paying someone to drive you around to play Pokemon Go! I have seen a couple of articles recently about how inventive people are deciding to offer their services to people who want to be driven around “safely” while playing Pokemon go. They will charge $25 an hour and will go from place to place in the Pokemon Go world to help you catch them all. But you should be very careful as someone seeing a ride while playing your game. Make sure you know the rules of your state before jumping into some strangers car who has gone through no background check at all. State laws have certain requirements placed on people who drive people around for profit. It is possible that some of these people who are charging $25 an hour are not doing so legitimately. For example, in Louisiana there are certain requirements placed on drivers operating in a transportation network (TNC). There are also other requirements placed on drivers who are operating for profit but not in a TNC. If your driver is not a TNC driver (who in Louisiana must facilitate the ride through an app) then the driver will have likely been required to go through several other steps. If they haven’t, they are driving illegally. Also, in Louisiana Uber and Lyft are required to have insurance covering passengers. If your person giving you a “Pokeride” is not driving under the umbrella of Uber or Lyft and an accident happens, it is possible that the driver’s personal insurance might not cover your damages either. And if your driver doesn’t have a lot of net worth, well, you could suffer a personal loss because you cant recover from the driver. This is why I urge everyone trying to get a ride to do ridesharing to make sure to go through Uber or Lyft or make sure that your driver has the proper licence and insurance to be operating commercially in the area where you are catching them all. Rider Advice: Should you tip your driver? Lyft currently offers their customers the ability to leave a tip for their drivers if they are so inclined in the application. 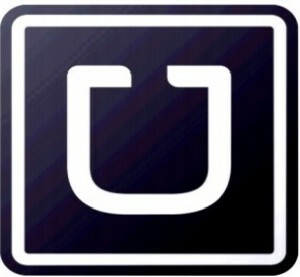 Uber does not offer that functionality yet. Until recently Uber had basically sent a message to riders saying that their rides were all inclusive and that there was no need to tip. However, after a settlement with riders, Uber will now be telling riders that no tip is included. Uber will also be allowing riders to post that the gratuity is not included in the cost of the fare. But that doesn’t really answer the question of what a rider should do or not. Of coarse as a driver I would love it if each and every customer of mine gave me a tip. But it is not my job to make your decision to tip for you. That is a decision you have to make. However, I would offer some things to consider when making that decision. A) If they are both operating in a city, Uber and Lyft are often competing for both riders and drivers. Many drivers will drive for both companies. Many riders will have both applications as well. The rates they charge for riders in those cities will be competitive in order to attract business. This means that the prices will go lower to the determent of drivers. If you feel that the value of the ride you received was worth more than the base fare that you were charged, perhaps it is worth it to add some tip money to the overall cost of the ride. 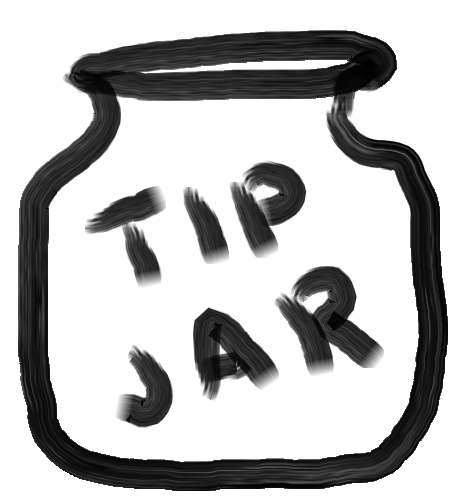 B) Tipping tells drivers that they are doing their job well. It is positive reinforcement of good behavior. Many times drivers will go above and beyond to make your experience as comfortable as possible. Did your driver offer you a complementary beverage or candy? Did your driver provide cell phone charging cables or give you control of the radio? If your driver spent extra time, effort, and money to make your ride special, it could very well be worth a tip. C) How far did your driver have to travel to pick you up? Many times your driver will be right around the corner. Sometimes your driver may have to drive 20 minutes to reach your location. Some drivers may just reject calls from such a long distance because your fare does not include the trip to pick you up. If a driver accepts your ride request and that request takes him a good distance away from where he was, that might be something worthy of consideration for a tip. D) How far did you ask your driver to take you? Regulations vary but drivers can reject trips of certain lengths as well. If a driver accepts a trip that could have declined because of distance, it might also be something worthy of consideration for a tip. I likely will not have covered every possible scenario that might cause a person to leave a tip to a ride sharing driver. But I can tell you that every time you give a tip to your driver, even if it is just a couple of bucks, it will make that driver very happy and you will be telling that driver that you received awesome service . So how can you leave a tip? Isn’t one of the benefits of ridesharing that you can be cashless? Well, Lyft makes it easy by including it in their application. However, since Uber does not provide a cashless tipping mechanism, I provide my riders with a paypal link so that they can tip me that way. Just see my tip jar on the front page. Counter-intuitive actions by some auto insurers. When I decided that I would like to try ride sharing to gain some extra income, I made sure that I dotted all my i’s and crossed all my t’s. One of my biggest concerns was insurance. I didn’t want to do anything that would cause me to lose my existing policy. I told them that I was considering driving for Uber and that I wanted to check with them first to see if that would be a violation to the terms of our agreement. They replied that it was fine for me to do so and that I just needed to remember that while my application was logged in that they would not cover any claims. This is the stance that a reasonable and intelligent company would take on the issue. Think about it a second. My insurer covers me for all of the driving that I do; 365 days a year for 24 hours each day. Now I am telling them that I will be offsetting their risk when I drive since Uber covers insurance coverage while the application is online (at least in Louisiana). Each hour I am online giving passengers a ride is an hour that they do not have to insure me. Yet they collect the same money from me as if they were. That should be an actuary’s dream! If I was a vehicle insurer I would hope that my customers would drive for a ride share company. Not only do I insure them for less hours in a day, but I also will likely have a more careful driver who will be less likely to drive like a maniac when not driving for business purposes because they would want to make sure their car is always ready to deliver passengers. Yet for some unknown reason that is not based in any sort of common sense or reality, some insurers are dropping Uber drivers from their policies. I have known of a couple recently who were notified that their insurance coverage would be ending. I have worked within the insurance industry. I have a fairly good knowledge of how it works and how risk is assessed. The decision to drop ride share drivers who are covered by a different insurer while they do their ride share driving is absurd to say the very least. I have debated this topic with several in the insurance industry who have been unable to make a convincing argument as to why I am wrong on this. Insurers better get with the times. People are deciding to become ride share drivers every day. And it makes no sense to turn away riders who will be covered by a different insurer. Until that happens, I urge all drivers to make sure they are with an insurer that will cover them adequately and reasonably .